In our latest newsletter Tommy focus on our upcoming E-LASS event in France. After being nominated, our member Uljanik recieved the JEC Innovation Award during last week’s exhibition in Paris. Interesting article about composites in the shipping industry written by Arnold Vaandrager at Vabo Composites. In an exclusive interview with Vito Radolović, we learn more about Uljanik and their SIEM Cicero car carrier vessel which is currently nominated for a JEC innovation award. In two weeks during the EU INDUSTRY WEEK in Brussels, there will be a public workshop as part of the ComMunion Project led by our member AIMEN. As part of the collaboration between the RAMSSES project and E-LASS, a public seminar day was organised at the end of January and held in Borås, Sweden. It’s official! 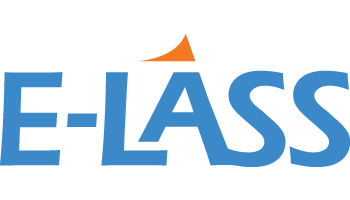 During 26-27 June, 2018, we will host our next E-LASS event which will be held in Saint Nazaire, France. Franz Evegren, RISE, has put together an information kit for the upcoming RAMSSES event in Borås. As previously mentioned, E-LASS members are welcome to participate in the upcoming public RAMSSES day in Borås, Sweden on 30 January 2018. Sign up form can be found here. In the last newsletter of 2017, Franz and Tommy focus on the upcoming seminar day in Borås.